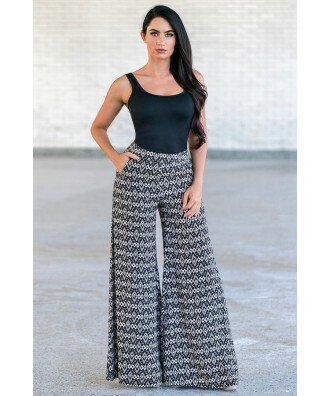 You have added Patterned To Please Black Palazzo Pants into shopping cart. These are the perfect pants to put on any time you want to look cute and stylish but still comfy and casual at the same time. 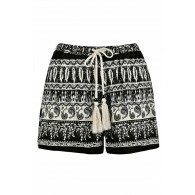 The Patterned To Please Black Palazzo Pants are made of a flowy fabric with a unique black and beige pattern throughout. 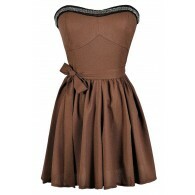 They have a flattering wide leg cut, a pocket on each side, and a hidden side zipper. These pants look adorable paired with a black or beige fitted tank or tee and flat sandals. 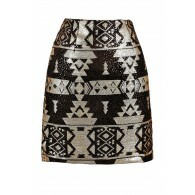 You could also wear them with a loose fitting top for a comfy casual day look. These pants can also be dressed up with heels and a cute top for a dressed up look. They can be worn so many different ways! Details: Unlined. Hidden side zipper. 100% rayon. Hand wash cold water separately. Color will bleed. No bleach. Hang to dry. Small measurements: 27” waist. Length: 40”. You have added Patterned To Please Black Palazzo Pants into Wishlist. You have added Patterned To Please Black Palazzo Pants for Stock Notification. 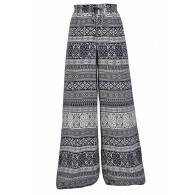 You have set Patterned To Please Black Palazzo Pants as a loved product. You have removed Patterned To Please Black Palazzo Pants as a loved product.